Seeing the trailer and hearing the concept for Game Night a few weeks before its release, I was expecting a new record-breaking low score for Rotten Tomatoes to have alongside The Emoji Movie. But I cannot express how happily mistaken I was after experiencing the visual gut-punch of just the opening sequence. It was in those 3 minutes, I knew I was in for a treat. It’s rare to find a mainstream comedy that abandons the genre stereotypes of A-list actors delivering Z-list jokes. There’s countless times where we give the excuse of “sacrificing a handful of brain cells for a few hours” while we watch The Rock perform yet another senseless role. And while there is a time and place for those films, you will be happy to hear that you can retain all of those precious brain cells during the seamless 100 minutes of Game Night. Directed by the writers of Spiderman: Homecoming and Horrible Bosses, comes (arguably) their greatest work thus far. Jason Bateman stars as Max alongside Rachel McAdams (Annie) as two ultra-competitive spouses, regularly hosting “game nights” alongside other ultra-competitive couples. When Max’s older brother, Brooks (played by Kyle Chandler), comes to town and threatens the status quo of Max and Annie’s game nights, the film escalates into an edge-of-your-seat thrill ride that will have you squirming in your seat from start to finish. Stylized twists and turns, charming characters, and some great comedy. Needless to say, this is a film that is definitely worth seeing—especially in a theater. So, let’s talk about it. There’s a lot to pick apart here, especially if you’re aspiring to write/direct comedy or are just genuinely interested in why this film works so well. First off, this film looks and feels like a thriller. The lighting, the cinematography, and the music are all orchestrated to leave us cowering in our seats, completely nullifying any guess we might have as to what’s going to happen next. Blended with a lighthearted and sarcastic tone, Game Night knows not to take itself too seriously, thus lowering the audience’s expectations. But after we’ve been tricked with numerous twists and turns, it’s not hard to notice that writer Mark Perez knows exactly what the audience is thinking and feeling at every moment of his story. Insane obstacles are thrown in at the best of times (worst for the characters), thus allowing him to play with the audience like puppets. Another important element to note is that there isn’t a single minute of this film that doesn’t have some sort of joke within the action or dialogue. Hundreds of jokes are thrown at the audience throughout the runtime, and while maybe not all of them quite land, at least 90% of the shots taken in this film are definite scores. This also adds much more to the characters, allowing every one of them to flourish as genuinely funny people, rather than just being regular people who just had a handful of funny things happen to them. In addition to every character’s own hilarity, there are clear individual goals between each couple that underlie the primary goal of the film. They are seen through to their very end, and every conclusion to these couple’s stories has a genuinely satisfying resolution. The pacing is extremely tight, and never lets a single minute of your precious time go to waste– you likely won’t ever feel the need to check your watch. But what stands out amongst the masterful storytelling and direction, is a striking, fantastical style. It’s not hard to notice that Game Night was written by someone who genuinely loves board games and has probably participated in many game nights himself. Having never seriously competed in board games myself, I could tell the entire film was meant to play as a homage to the often-overlooked fun that comes alongside those games. 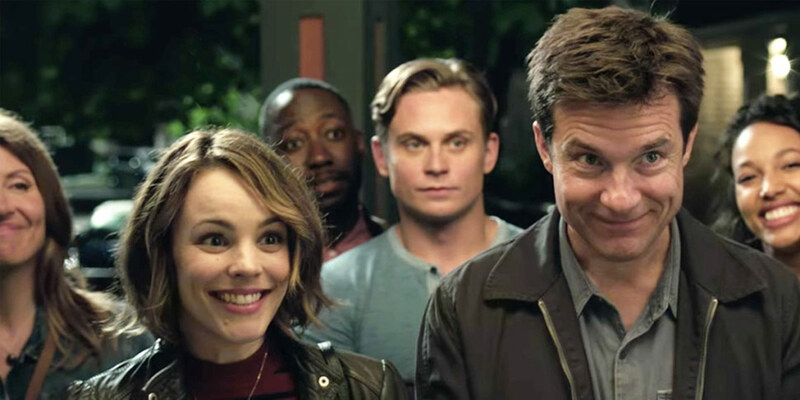 Yet aside from its source material, Game Night felt mostly like a homage to the average blockbuster thriller that takes itself more seriously than it should. And while it was a clear example of a perfect blend between two genres, most of the fun comes into play when you can laugh at yourself over the silly things that cause so much suspense. Overall, Game Night is the definition of a cinematic emotional roller coaster. It is a hilarious, unforgiving thrill ride that does everything a comedy should do. It’s rare to experience something like this these days, and it was refreshing to see that there is still some hope in the genre. Most importantly, Game Night stands tall as an example for aspiring writers of comedy and is bound to be known as one of the special gems within the genre. + Fantastic, gripping style that shines throughout. – No future viewings will compare to the first time. 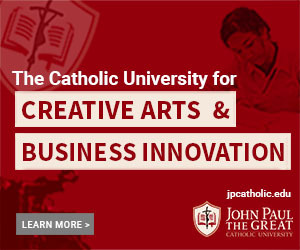 Ben Escobar is a screenwriting and production student at JPCatholic (Class of 2018) who boasts an immense love for all things relating to the art of cinema. His favorite director is Richard Linklater and his favorite movie is Swiss Army Man. To read more posts by Ben, click here.